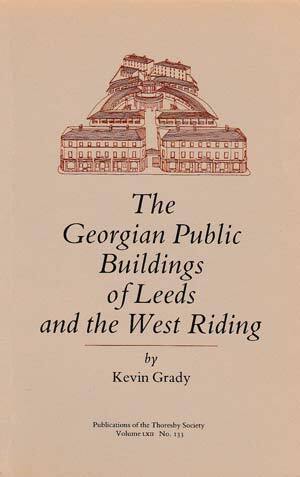 This extensive study of The Georgian Public Buildings of Leeds and the West Riding is an adaptation of Kevin Grady’s PhD thesis which he completed in 1980. It is a comparative study of the public buildings of the principal West Riding towns from 1600 –1840, a period which encompasses the building boom of the mid-1830s. Emphasis is placed on the immediate circumstances surrounding the provision of public buildings with the main concentration being on Leeds, but a detailed gazetteer of the main West Riding towns is included as well as a chapter on the national perspective. The work is copiously illustrated with photographs and prints and the text supplemented with a series of statistical tables.